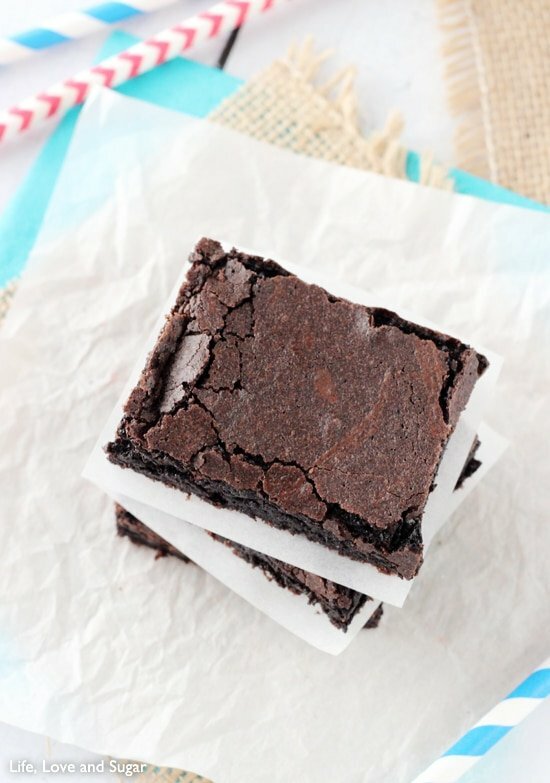 These Quick and Easy Brownies are truly like a box mix brownie, but from scratch! They are so chocolatey, moist and delicious! I have been searching for a box-mix-like brownie for some time now. I have a couple really great brownies on the blog already – a fudgy one, one that’s kind of cakey and fudgy – and now this one! I would say this is more of a cakey brownie, which I love! Basic brownies may seem kind of unexciting, but don’t be fooled. These are anything but! Everyone needs a good, solid brownie in their recipe arsenal and this is the one! Sometimes I really just love a delicious brownie, uninterrupted in flavor by all the add-ins. I mentioned on Tuesday that my parents were in town for the weekend. It’s such a good thing, because I made a couple rounds of brownies and someone had to help me eat them all! I totally get my sweet tooth from my dad. I still remember him eating cookies for breakfast when I was a kid. He’s gotten some better eating habits since then, but we both still have the massive sweet tooth. He agreed with me that these brownies were the best, hands down. Our kind of brownie. Neither of us could keep our hands out of them. They are quite dark in color in the pictures because I use dark chocolate cocoa in most of my baking. If you’ve never tried it, I really encourage you to. I don’t normally prefer dark chocolate when eating a candy bar, but in baking it makes a much more chocolatey final product. In most cases of course. These brownies being one of them. I’m sure they’d taste great with regular cocoa. But if you’re willing, give the dark a try. OMG these are fab! I LOVE the dark cocoa in brownies. And that top – gorgeous. Now I want brownies! I want to use a 9X13 pan.how do i convert the ingredients ? I tried doubling them in a 9×13 and they did not come out as well as when I made them in a 9×9 (in which they were perfect)… I might try 1.5 the recipe next time for a 9×13. Just want to pass along, as so many of the comment were so helpful and I really enjoyed the recipe. You had me at “like box mix”! Everyone needs a good box-mix-esque brownie recipe in their tool-kit. I can’t wait to try these out! What do you mean about dark cocoa? I know the difference between Dutch-processed and American but I’m not sure I know how to identify a dark variety. Help! 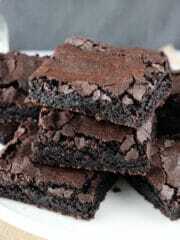 I want dark, chocolatey brownies too! The dark cocoa I use is by Hershey’s – it’s their Hershey’s Special Dark Chocolate. I can get it in grocery stores around here usually. I’ve seen in at WalMart too. I had no idea that Hershey’s made two types! I’ll have to keep an eye out for the special dark and do a taste test! Bring on the dark chocolate! What a compliment! Thank you Bonnie! 🙂 I hope you enjoyed them! Thanks Nichole! I hope you like them! I definitely agree that sometimes it’s nice to just have a no-nonsense brownie recipe without all the crazy add ins. I love that you used dark chocolate cocoa powder–I bet it makes the chocolatey flavor even more intense! I’ll have to see if I can find some. I love how perfectly cracked these brownies are, that means they are especially fudgy-just how I like them! I used to make homemade brownies but haven’t done so in a long time. Yours look amazing! We must come from the same family because I have a crazy sweet tooth and brownies are one of my very favorite desserts! When I want something sweet, I crave a brownie. These look absolutely perfect. Easy recipe and amazing brownies. 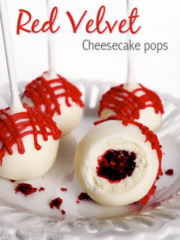 I am totally making these. I’ll have to try the dark cocoa too. Thanks for sharing on Saturday Night Fever. I can’t wait to try these! Pinned, of course! See you again this Saturday! They are more of a cakey brownie. 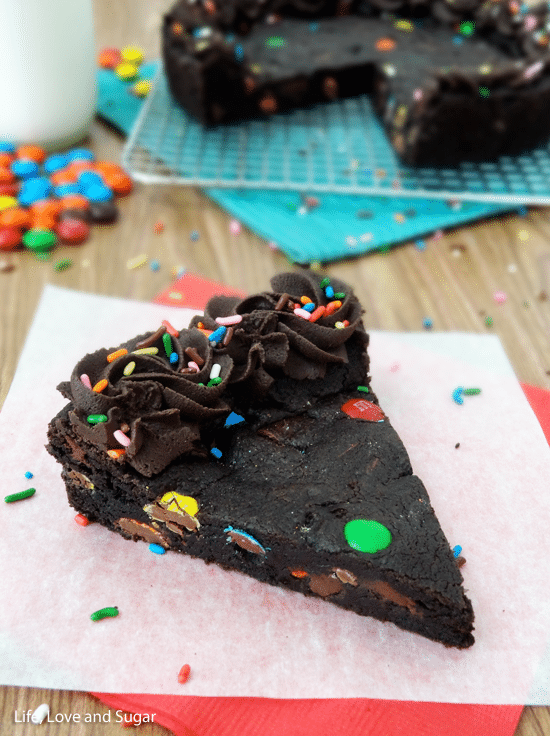 If you want a truly fudgy brownie, this recipe is perfect! Just leave off the butterfinger topping, if you don’t want it. Thank you so much Jaemie! 🙂 Enjoy them! What kind of dark cocoa powder do you use? I’ve tried using ruddy reds darker 32% cocoa but it never seemed to work for me. Any suggestions? I pretty much always use Hershey’s Special Dark Cocoa. I don’t normally prefer dark chocolate, but in baking it seems to give better chocolate flavor. I’m so glad you enjoyed them JJ! You’ll just need to double the recipe. It should work great! I haven’t tried replacing the oil with butter and am not sure how it’d turn out. Something I’d like to test as well. I don’t know, I haven’t tried it. I’ve been wanting to though. I thick it would change it a bit, I’m just not sure how much. Thanks! 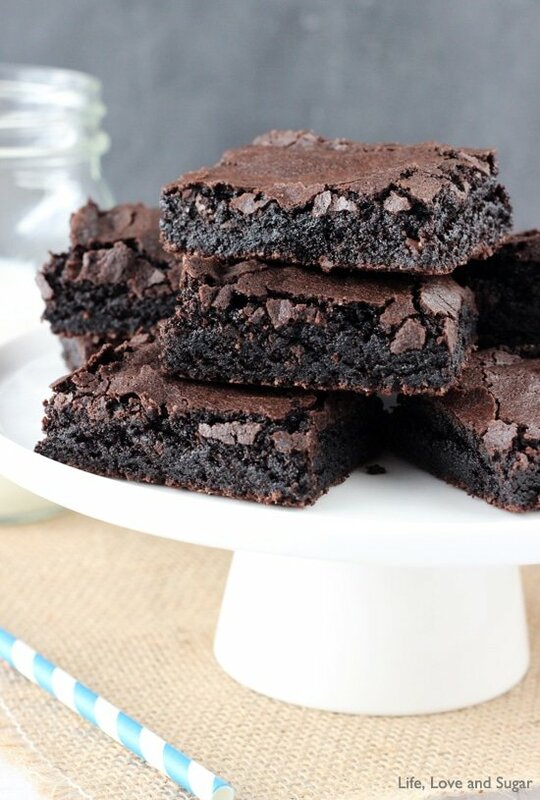 These brownies are so yummy… i just made them and the are gooey and chewy and awesome….and cheap because they dont need all that 70%chocolate…this is my new go to brownie recipie now … thank you so much for this awesome recipie… you are great.. 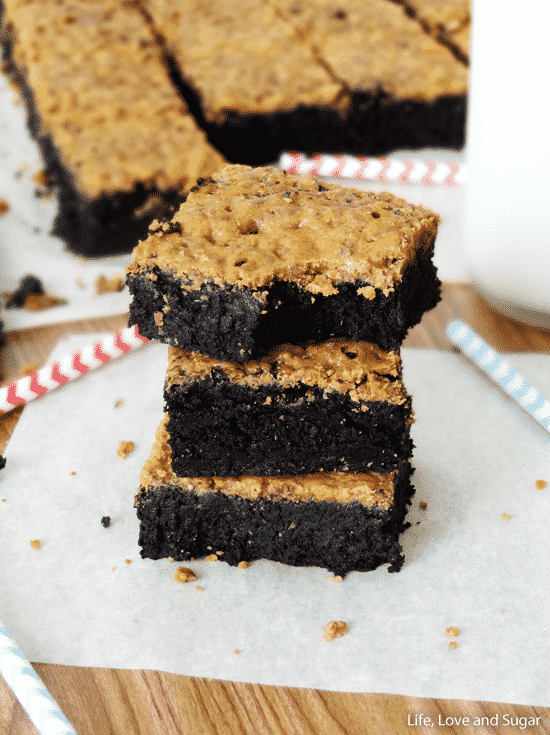 Thank you so much for sharing this recipe…I’m so glad I decided to give it a whirl…they were absolutely delicious….I will never buy box mix again! Thank you! The brownies were amazing! Your ideas are certainly the best. Thanks again! 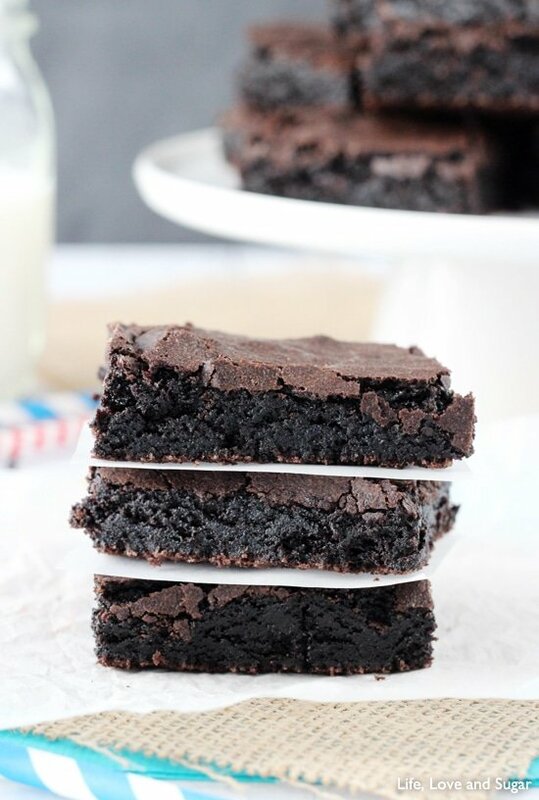 Wow, these brownies look absolutely PERFECT! I love the beautiful tops and how dark they are! They look super chocolatey and just amazing. Need to try this recipe ASAP! Made these brownies tonight and they were fantastic! I added coconut oil instead of vegetable oil and they turned out divine, even if i did add a TBSP +1/2 of vanilla on accident! The crispy top and the soft gooey center was to die for, snuck quite a few “tastes” before serving. Also, can the sugar amount be reduced? or can apple sauce be used for some of the sugar substitute? I would think that should be ok, but I haven’t tried it. 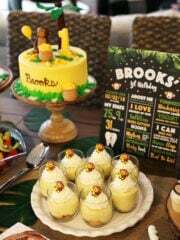 These were fabulous!!!!!! I used walnut oil since that was all I had. Yummy and perfect. I’m so glad you enjoyed them Kimberley! Hi! Can I substitute 3/4 Cup butter instead of vegetable oil? If yes, it should be melted or not necessary? Thanks! I haven’t tried it so I’m not sure. Sometimes substitutions like that work and sometimes they don’t. Excellent and easy recipe, although mine needed almost 20 more minutes baking time. Delicious! I love Hershey special dark anything, and i love brownies. Trying these tonight! Can’t wait! Great! I hope you enjoyed them! Thanks for a great, yummy and easy recipe. I haven’t tried it, but have read that you can replace an egg with 1/4 cup applesauce. It’d be worth a try. Made these last night, but used coconut oil instead of veg. YUM!! First time I have made brownies not from a mix in a very long time, so easy and so good!! Thank you! You might be able to use melted chocolate chips, but I wouldn’t know how to advise you. After trying and loving your vanilla cupcake recipe, I had to come back for more. I already had high exoactations and these brownies far surpassed them. I will never resort to a box mix again. Thank you so much for sharing! Hello from Jakarta – Indonesia! Hi Maya! I’m so glad you enjoyed them! I am assuming this recipe calls for plain flour and not self-rising? Thanks – they sound delicious! Omgoodness, I made these instead of box (its tradition to have brownies instead of cake for my fiance’s birthday :)) and they were SO GREAT!!! Very happy that I found this site and recipe. I can’t believe I had all the ingredients bit so happy I did!!! I tried my hand at brownies for the first time using your recipe and the outcome was delicious. Your measurements were spot on and I allowed the batter to bake for 25 minutes. This really is quick and easy brownies. I’m so glad you enjoyed them! Thanks Lonique! Can you omit the baking powder? I haven’t tried it, but wouldn’t recommend it. I just pulled these from the oven and I can’t wait to see what my family thinks! They smell lovely and I just added a couple chocolate chips ( Dark chocolate of course) on top. Thanks for the lovely recipe! It is regular all purpose flour. Because the oil was reduced, the mixture was stiff. I added 1/4 cup water and the mixture poured out perfect! It did result in a cake type brownie but we like them like that. I also added about 1/4 cup of dark brown chocolate chips. I saved and sent this recipe to my sisters. Great! I’m so glad you enjoyed them! This recipe came out great. 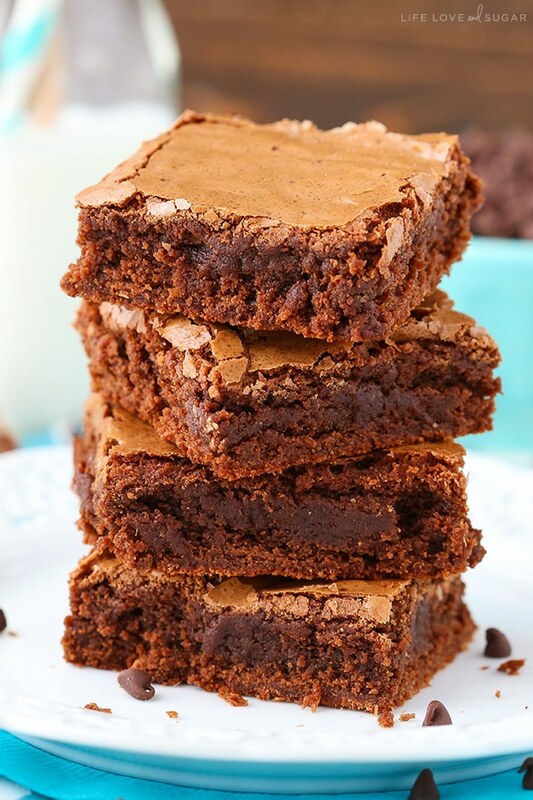 I have a shameful preference for boxed brownies over homemade but I do not like all the chemicals that come with it, so this recipe is an excellent find! Thanks! I’m so glad you enjoyed them Nichole! If i were to use only 1 cup of sugar will it change the texture or something? I want to reduce the sweetness because i plan to put a layer of caramel in the middle of the brownie. I haven’t tried it, but I think it’d be fine. !! They look perfectly gooey!! How do you cut them to look so neat and square? Thanks! 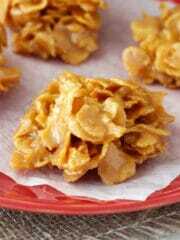 omg I found these and im making them right now! i’m going to add in some chocolate chips to make them extra chocolaty. Thanks for this great recipe Lindsay!! I’ve never been able to master chocolate brownies, but not only was I able to make a perfect brownie, but also they are the best brownies I have ever had!! Although, I did use only 2 eggs, still worked fabulously. I made these for Valentine’s Day last night and they were SUPER dry and not very sweet. I followed the recipe precisely. Lindsay, I found this brownie recipe on Pinterest. I usually just use a mix for brownies. I don’t know why since I bake from scratch. Well I didn’t have any more brownie mix so I made yours. Amazing! My hubby loves them. Thank you so much. Now that I have an easy recipe, I will never buy mix again. That officislly ends pre packaged baking mixes in my house! Awesome recipe.They came out perfect. I’m so glad you loved them! 🙂 Thanks Lisa! What could I use instead of vegetable oil, that’s healthier? I’m not totally sure, since I haven’t tested anything myself. There are some healthier oils out there you could try though, like coconut oil, sunflower oil or even olive oil. I made these recently for a friend’s birthday party. I made about 1.5x the recipe and added 3/4 cup of dark chocolate chips. (I really love dark chocolate.) Everyone raved about them and I had multiple people ask me for the recipe. I directed them here. I love your recipes! Keep up the awesome cooking! Just made these with my friend, slaved away trying to make them for a late night snack, and what do we find? That the oil and sugar mixture looks like a SLUSHIE and the whole taste of the final product is, to put it politely, revolting. The top layer of the brownie is borderline edible, and don’t even get me STARTED on the main brownie. I’m extremely sorry to say this, and maybe something went completely wrong or the vegetable oil in the UK is different, but yeah, not good. The taste of the final brownie was just pure oil- afraid to say, it did make me gag. Again, i do apologise, but thought it would be good to give you feedback. All the best, Janice. I just made these brownies last night and they are amazing! Sorry to say but, I think you may have done something wrong. Maybe o we baked them . Mine only needed 20 minutes to bake to perfection. Are you using sweetened or un-sweeted coca powder? Hello, I just made these last night. I used special dark cocoa and boy we’re they yummy!! However my hubby was disappointed… because the top was cake like (moist and fluffy, not crispy and cracked like your beautiful brownies). I baked the brownies at 350 for about 40 mins(until the toothpick came out clean). Any advice?! Thank you! You know it’s hard to say. It could be something about the mixing, or perhaps even the way they cooled. I’m glad you enjoyed them! Came home from church yesterday and my son decided we should have brownies for dessert. With NO Box mix in the pantry and not wanting to shop on Sunday, I went in search of an easy recipe to make them from scratch. I’m so happy I came across your recipe. These ar truly so yummy. The texture is nearly identical to what I experience when I make box mix brownies but I think the taste is better! Only problem I had was baking them at 350 for 25-30 minutes. The brownies looked perfect around the outer edges and across the top, but they were still gooey (like batter) even after an hour of baking. (?) so I cranked it up to 450 for 15 minutes. They were fully cooked after that. Has anyone else experienced this?? Still yummy. Love the crispy edges and chewy center. Hmm, I haven’t had that happen. I’m glad you were able to get them cooked though and enjoyed them! Thanks Jen! This recipe has become a favorite among my family and friends! I absolutely love it because it’s so flawlessly simple and easy to make. I refused to tell my friends the recipe. I always bake from scratch so I this recipe was perfect. All other brownie recipes have too much ingredients or they are tedious to make. This recipe was balanced. Excellent brownie recipe (and now my go to). I’ve made this recipe 3 times now, and each time is perfection. I once reduced the amount of oil by substituting half with applesauce and still had excellent results. Hi Lindsay! This recipe is indeed foolproof. Wow! It was our first time to bake…and this recipe was easy to follow and the result was amazing! Brownies were moist and delicious! Thank you again for sharing! Thanks Tina! I’m glad you enjoyed them! I made these…just followed your recipe…very easy…my dad just loved them. Thanks for the recipe. I’m in the group where this didn’t turn out well at all. I live at about 5,500ft in altitude, but I’ve never had a baking problem before. The middle never rose like the outsides and I baked for 40 minutes and it was still very wet in the middle. Here’s a site that shows the adjustments necessary for high altitude baking and cooking. I live over 5,000′ and, in making caramels, had to reduce the finished temperature from 244° to 234° so have found sometimes you just have to adjust things for altitude. Some things are fine without adjustments but since you had bad results, I’d try the recipe with the suggested adjustments before giving up on the recipe. Right now I’m going for banana chocolate chip cookies but I’m saving this recipe and, due to your comments, I’ll definitely adjust for the altitude and let all you high altitude bakers know the results. These were exactly the type of brownies I was craving. Quick and fool proof! Added walnuts and chocolate chips with no issues! Perfection in a square. 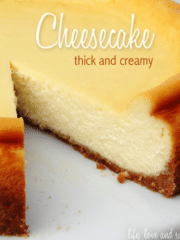 Thank you so much – awesome recipe! My store had run out of brownie mix, and I am so glad,otherwise I’d never have looked for a box mix-style recipe and found this! I made a few changes – used 1/4 cup melted butter and 1/2 cup oil, added a shot of espresso and choc chips to the batter. For a extra chocolatey hit, when they came out of the oven, I broke up a bar of chocolate and scattered the pieces over the brownies, waited for them to melt and then spread it over the top like icing. I have been following your blog for about a year now and I have to say I have absolutely LOVED everything I have made from your site! I am the “cook” of the family, my sister is the “baker”. Thanks to your recipes I am quickly becoming the queen of both out of all 4 of us (I have 3 sisters), These were amazing. My husband loves brownies and I always make them from scratch but this recipe is hands down the best one we have eaten yet! Thank you for another great recipe!!! Ha! How fun! 🙂 I’m so glad you’ve been enjoying the blog and following along! Thank you! I’m glad you’ve enjoyed the recipes! I just made these because the reviews were amazing. I haven’t tasted them yet as they are cooling, but so far I had to bake them for 35 minutes. The toothpick still did not come out clean, but I removed it from the oven anyway as I could smell the edges getting over done. I did add chocolate chips to the batter as my family love them some chocolate. That may have effected the baking process. I will update later after we have tasted them. I have just discovered you and based on what I see (recipes), I will be hanging around for awhile. I plan to make the brownie recipe first because I have been on a long time quest to find the perfect brownie recipe. Although I’m not an expert, I have been baking for many years so would like to comment on a couple of issues mentioned in previous posts. First, the person who reported her brownies tasted terrible might have inadvertently used rancid oil. Or, something else was omitted. Sugar and oil would have a slushy texture before the addition of other ingredients especially flour. In response to all the questions about a substitution for the oil, I have almost always used butter as a substitution merely because I prefer the taste. I have never had a negative result so I consider oil and butter interchangeable. Finally, I should say I never make any other substitutions or changes to a new recipe until after, if at all, I have made the original one. Thanks for the opportunity to comment. I will be back to report on my brownie baking experience. I love this brownie recipe, but I added a bit more cocoa to it. I also made them with coconut today. Thank you for this recipe. I’ve made these twice so far, and both times they’ve turned out bland and dry. I did everything as the recipe said… But they just tasted terrible. I had to throw them away the second time! Sad. These are just as lovely as advertised. We are living in Thailand, so boxed brownie mixes are pricey. It’s awesome to have an easy homade option. I did accidentally use maple syrup extract instead of vanilla as they are in similar bottles next to each other in my pantry. The rich maple syrup flavor went really well with the dark cocoa, so it turned out to be a winning error. Worst brownies I’ve ever made, can’t believe how they turned out. Raw and burnt at the same time? What’s up with that? This is EXACTLY what I was looking for when I had the urge to make brownies. They turned out exactly like the boxed kind! I think I may have left mine in for 35 minutes accidentally, but I don’t fully remember. Otherwise I followed the recipe exactly! I’m a personal chef but admittedly a terrible baker. I have a 96 year old client that I cook for once a month and I always make a batch of brownies to take to her. And, don’t shoot me, but I usually make them from a mix… BUT, today I got home and was ready to make them and realized that I didn’t have a mix on hand. Thankfully, I had all the necessary ingredients and, after some Googling, settled on your recipe because it seemed to be fairly fool proof. The only change I made was to add some semi-sweet chocolate chips to the batter. OMG, Best. Brownies. Ever! I will never go back to Duncan Hines again. Thanks for showing me the light! Awesome! 🙂 I’m so glad you enjoyed them! They turned out pretty well but I’d use less oil. There was an over powering taste of oil when it was on batter form. I haven’t tried the actual brownies yet, they’re in the oven. They seem like they’ll be good though! 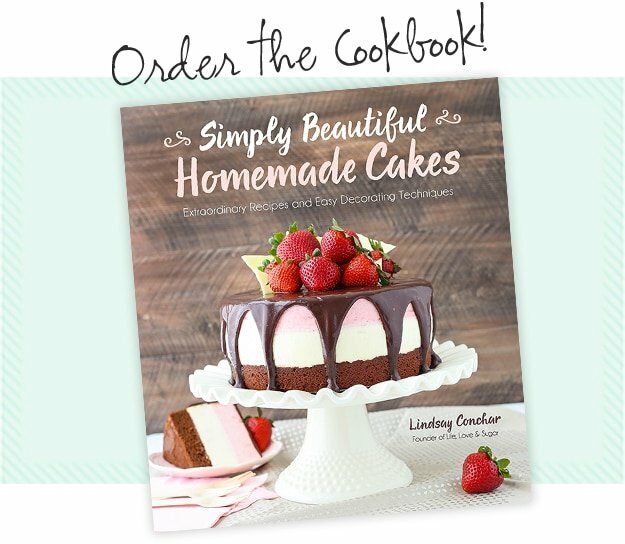 Love love love this recipe – thank you! This is now my go-to brownie recipe. I used a mix of melted butter and oil (about 1/4 cup butter) and I also added a shot of espresso to up the choc flavorur. When they came out of the oven, I broke up a small block of each dark and milk chocolate, which melted from the heat of the brownies and then got spread to form a ‘death by chocolate’ topping. Would it change if I tried using normal cocoa powder? No, that should work fine. Am I supposed to add to the recipe beyond what is there? It means to use 1/3 cup of cocoa, plus an additional 2 1/2 tablespoons. And 1/4 teaspoon of baking powder, plus an additional 1/8 tsp. A full half of a teaspoon is too much. 1/4 isn’t enough. Does that help? 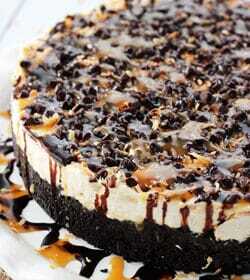 I want to do “Pumpkin Chocolate Brownie Cheesecake”, if I use this recipe I have to double it? No, you shouldn’t need to double it. Once recipe would be fine. I have made these a few times now and they always come out amazing. I made them for a friend that is gluten free/dairy free by making one small tweak. I ground up some oats in the blender until fine and subbed that 1:1 for the flour. Same great turn out. I’m glad you enjoy them! 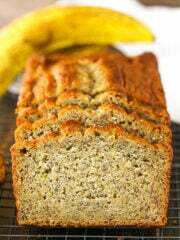 The oat flour is a great idea! Okay, have made these twice, using Hershey’s Special Dark as well, and with a few alterations. I cut back the sugar to 1 cup, 1/2 white and 1/2 light brown (pack it down good), olive oil (light or regular, extra virgin may be a bit too strong), a pinch more salt. We only have jumbo eggs, so used two of those and worked fine. Baked in an old scratched up 8 x 8 pan. Checked them at 20 minutes, took out at about 24. TO DIE FOR! Great heated up in the microwave for a few seconds. P.S. Good luck on the batter even making it to the pan to bake–I found it hard to stay out of it! These sound totally delicious! I need to make these the next time I need a quick dessert! I followed the directions to a T and they took an hour to bake in a 9×9, also didn’t taste very good. I just made these with butter instead of oil and they are fabulous! So moist and chocolaty. Exactly the flavor and simplicity I was after in a recipe. Thank you! Regular natural unsweetened cocoa powder would work as well. I found this recipe last year and absolutely love it! 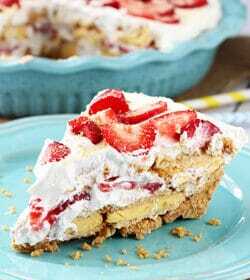 It is so quick, easy, and delicious! It is my go to for when I want something simple and chocolatey! These are the brownies of my dreams! They have my two key criteria–cocoa powder and oil, and come out amazing. As this is my first time on your blog I also want to say a big thanks for having a recipe card-style printing option. This makes things so easy!! 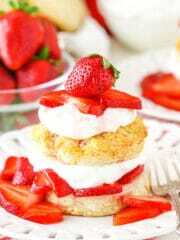 I am a pastry chef and and I love trying different recipes. I had a taste for some brownies but I didn’t have all of the ingredients for my recipe. However that turned out to be the best thing to happen to me last night because I found your recipe and I had everything needed for it . It was late when I was baking so my husband was sleep but when it came out the oven here popped up and said ” umm what did you bake?” Lol had a piece and went right back to bed. Thanks for the recipe they were amazing! Damn Americans and their baking powder. Why not just have self-raising flour in a small amount as well? I tried 2/3 flour 1/3 self-raising flour and ended up with boring cake. Kinda disappointed, but maybe I shouldn’t learn how to make easy (very mediocre) brownies. Screw sugar, screw this recipe and screw this comment! Where does the +1/8 baking powder and +2 1/2Tbsp cocoa come in? Those are part of the measurements for the ingredients. For example with the baking powder, you need 1/4 tsp plus 1/8 tsp. It’s less than 1/2 tsp, but more than 1/4 which is why there’s the addition 1/8 tsp. I have never actually made brownies from scratch before, we were having company for dinner and decided we needed dessert–I googled “Fool Proof Brownie Recipe” and your’s looked easy enough I decided to try it–I only had regular cocoa, but they turned out great! My husband normally doesn’t even like brownies and ate a bunch of them–that was 2 weeks ago… I’m on my 3rd batch (second 2 times with dark chocolate). Bonus–I’m lactose intolerant and since they don’t have milk or butter, as long as you use the right chocolate, these are lactose free brownies! I used baking cocoa (dutch dark cocoa) and the batter was thick. It’s in the oven right now, so will see how this will turn out. Ok, so I made your brownie recipe, HOPING it would be a good one and not one of those brownie recipes that ends up having that bitter after taste of baking powder. Let me just say…DELICIOUS!!! So delicious that I got on the internet and searched for you here because I HAD to tell you how yummy they are…and a big THANK YOU, too, for the recipe itself! 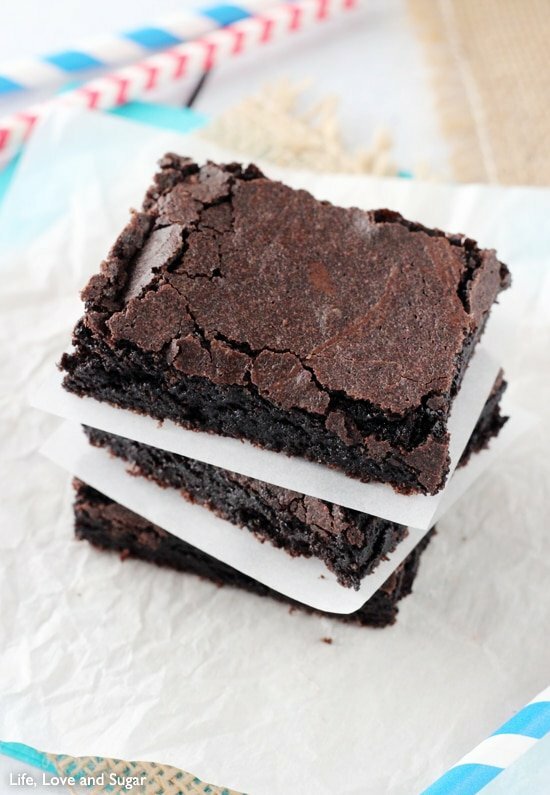 BEST BROWNIE RECIPE I’VE EVER USED…HANDS DOWN! For those of you who haven’t tried it…seriously…it really IS like a good, boxed brownie mix. I’m pigging out on them right now! This is the BEST brownie recipe EVER!! You might not even see this but, I just want to let you know. I’ve tried a lot of different brownie recipes in the past and they never really turned out the way I like brownies. The first time I tried this recipe I was so satisfied. I’ve now been making these brownies for my friends & family for years, and everyone who has ever tasted them absolutely falls in love!! So thank you for this incredible recipe! Wonderful to hear! So glad you’ve enjoyed them! 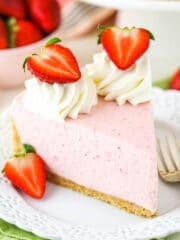 I love this recipe but the ads and pop up videos on this site are absurd! Mine are in the oven now. My one word of advice so far, MIX BY HAND! I made a mess with the first little bit of flour mixture that I added. Hahaha! But, after I started mixing by hand, it went smoothly. I expected the batter to be thicker. I guess we will see! My go to brownie recipe ???? Our batter was so super thick. I ended up mixing it with my hands to get all the flour incorporated. I saw others said theirs were more wet. Not sure the difference- I guess we will have to keep trying them to see the difference ???? I tried this recipe, and Trust me, never in my life have i tasted such a delicious brownie. Everyone in my family loved it, and i had to actually make 4 batches for my brother’s office potluck. However, i just have one concern, the brownies were gooey and soft inside with crackling top. But the sides become very tough and rubbery. i don’t know what to do, hence, i had to cut sides by half inch from all the four sides. Please help. I’m not sure I know what you mean by rubbery and tough. The edges will obviously cook more and be firmer, but I’m not sure how they’d be rubbery. I’ve been looking for a good brownie recipe for a while and every time it’s fallen short. This recipe is not only simple but the brownies are DELICIOUS! I added a bit of chocolate chips and walnuts the first time but they’re amazing with it without them. They’re thick and fluffy all at once. ❤️ Definitely my go-to brownie recipe now! Wonderful! So glad you enjoy them! 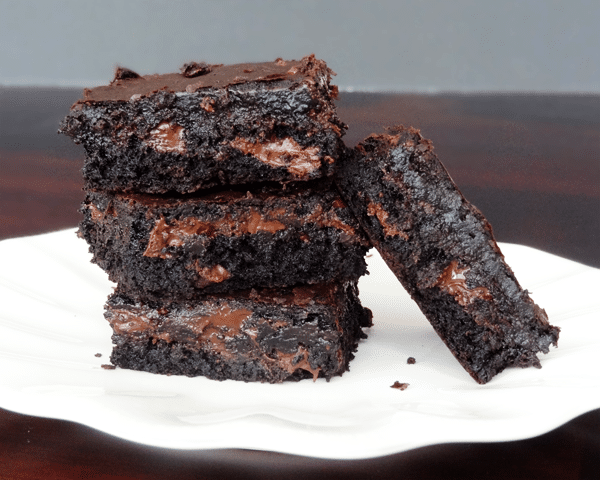 Didn’t have chocolate chips and was heavily craving that pillsbury box mix brownie – this is an absolutely fantastic recipe without all the preservatives if you’re looking for the same cakey/chewy/fudgy texture! Thanks so much! 🙂 p.s. i’m an edge person and these edges were INCREDIBLE. Wonderful! I’m so glad you enjoyed the brownies and found this recipe! Can I substitute vanilla extract? I haven’t tried, but you could maybe use maple syrup or vanilla bean. hi! 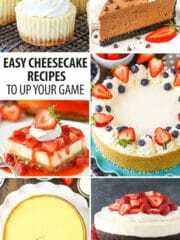 i want to make these but i only have a 8in×8in pan, what time do i bake them for? I haven’t tried that size for this recipe, but it should be similar baking times. These brownies are absolutely delicious and so easy to make! It took me less than 10 minutes to whip them up! It did take mine around 45 minutes to bake, but hey I’m all good with waiting for these delicious treats! Thank you so much for this recipe! Lindsay! How easy! Your directions make this seem like such an easy approach, too. 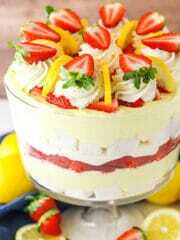 I would love to make this soon! Lindsay, this sounds yummy! I would definitely make it again! Thanks for sharing the recipe. Awesome! So glad you enjoy them! Thank you!!! 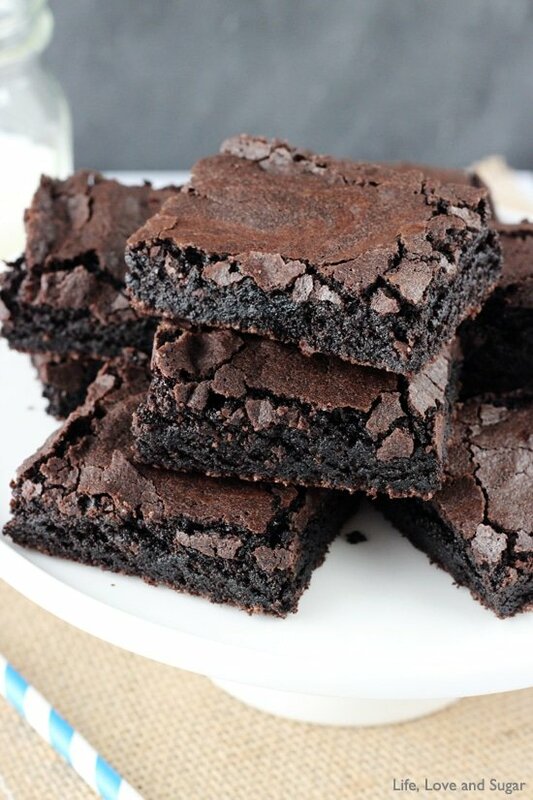 This is the best brownie recipe!! !